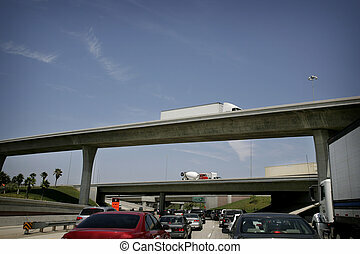 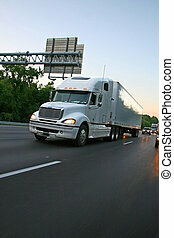 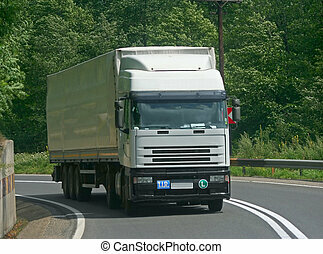 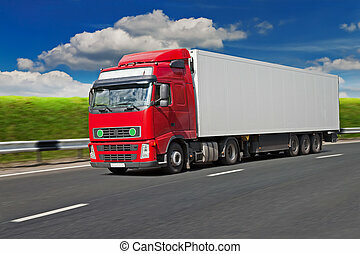 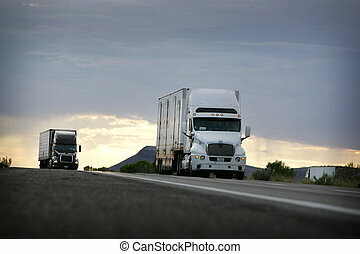 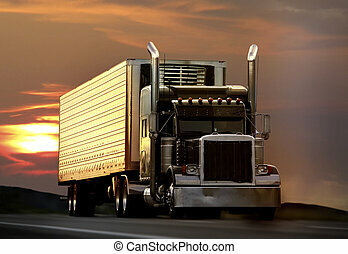 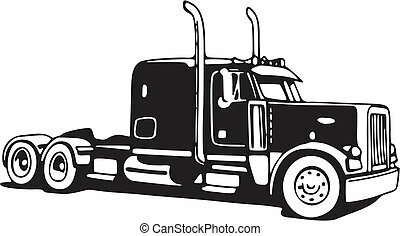 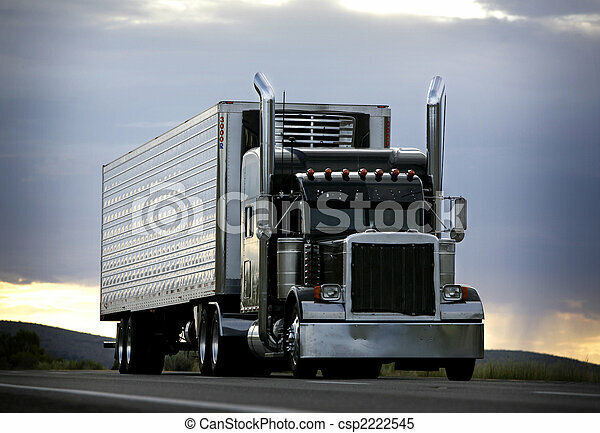 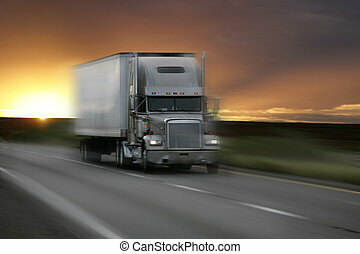 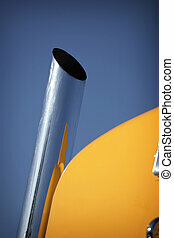 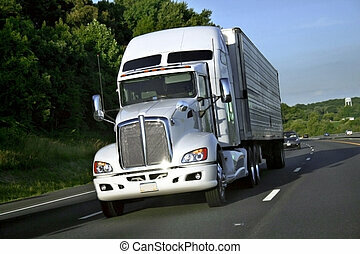 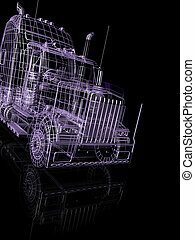 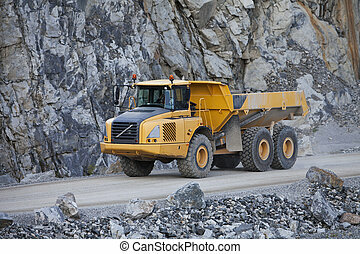 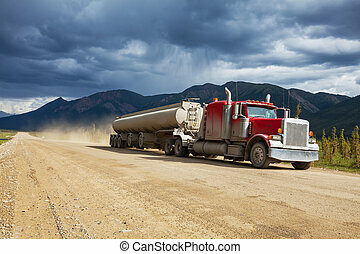 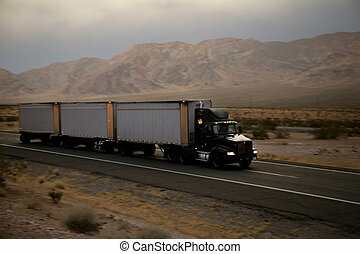 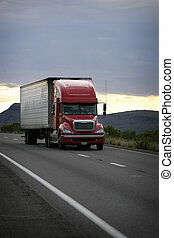 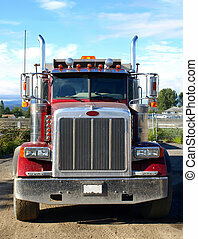 Big truck driving on a highway with cloudy sky in background. 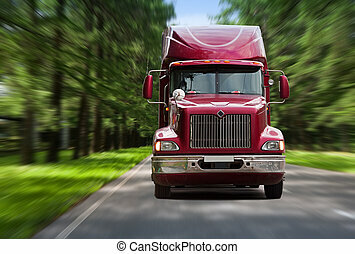 Used truck on the forest track, blurred motion. 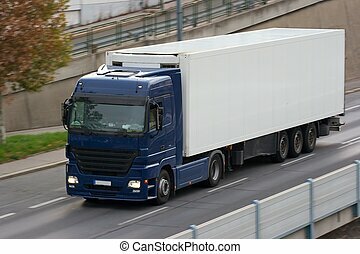 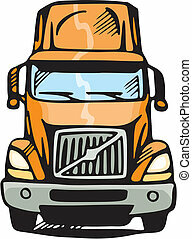 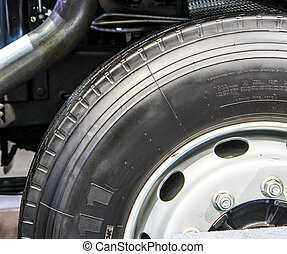 Big truck of load in movement on highway. 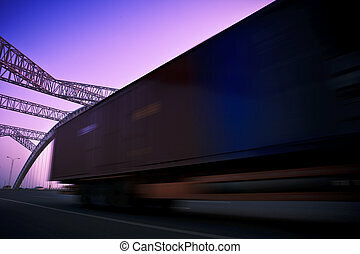 truck speeding through a bridge at sunset,motion blur.